That's it, but that's webwit's beamspring version. @Seebart: Linears all the way down, eh? Have you tried a clicky switch you really liked? Topre's king of tactile. Beamspring's king of clicky swing. No, I do like blue Alps and Monterey's. Both clicky. I forgot to mention buckling spring. Capacitive much more so than membrane. My IBM F and AT are still right up there in preference. Then you should be good to go. Beamspring shares a fair bit in common with Model F. But it's nicer. It has that Topre-like swing after actuation, which is the real magic. Must be tried to be believed! Tracking here. You have to insert the tracking number ADCM5NG, click on "aggiungi codice" (add code) and then click on "esegui la ricerca" (search). Really nice keyboard in terms of comfort and ergonomics, it's the only keyboard I tried that made my pinkies feel comfortable. 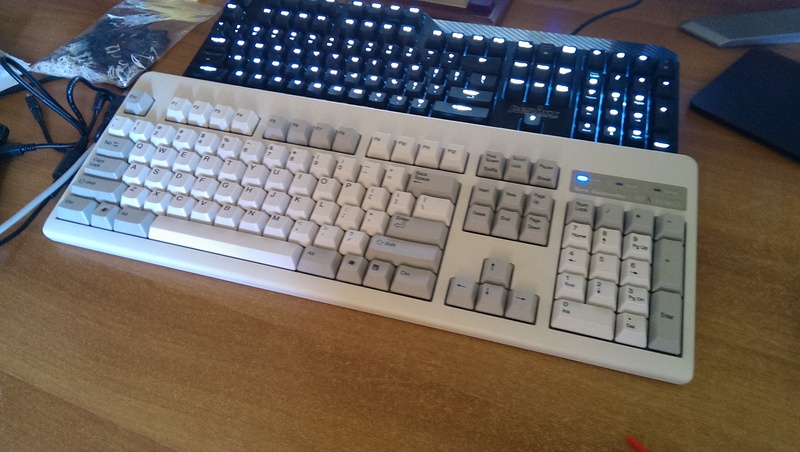 I have just bought a Realforce from x0x02 member. Could you sphinx please send the keyboard to andrewjoy? Please remove me from the list, and sorry for this late change, but I couldn't resist buying it . 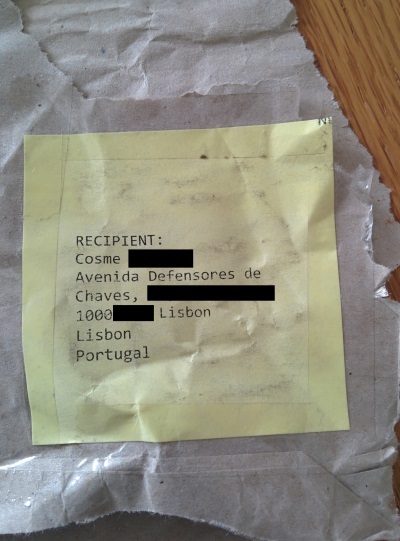 Spikebolt wrote: ↑ I'd also like to request that the guy next/previous to us portuguese is amospalla from Spain. 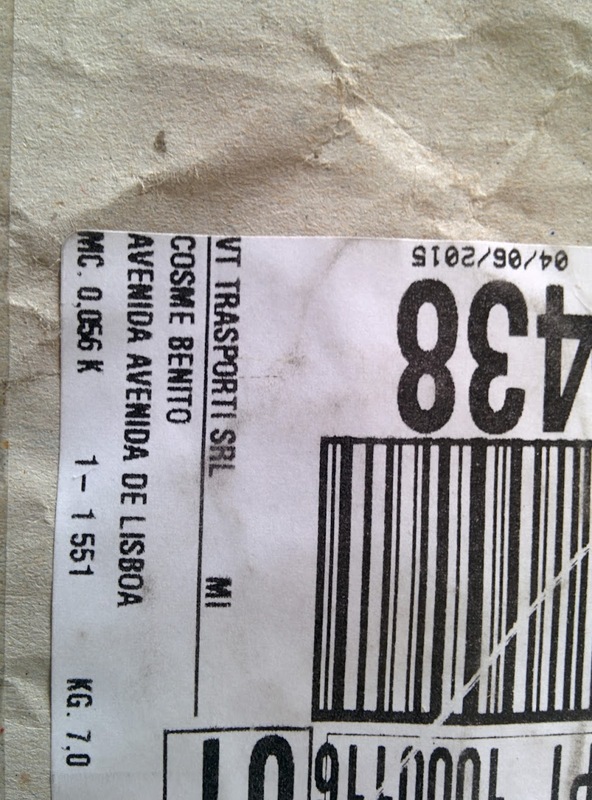 Shipping is considerably cheaper to Spain than everywhere else on EU. Last edited by acolombo on 29 May 2015, 22:58, edited 1 time in total. What do you think about the variably weighted switches? Give Topre time to get accustomed. It's a grower. A little too subtle at first for its own good, until, without noticing, you get used to it and crave it everywhere. After some use I noticed I'm less keen to bottom out on Topres, which I usually do on MX, even if the wiki says it should be the opposite. I can describe the whole experience as "softer" than the MX Blues and Buckling Spring I'm used to. I can use less force to write on the keyboard, as the membrane is bouncing my fingers off the key better than what MX springs do. About the variable weight, I don't like it. I use the same finger for modifiers and for alphas, and when I use modifiers I apply more force than needed. I would probably like the lighter weight also for the alphas though. But I really miss the click and the whole idea of having mechanical switches under my fingers. I'd like to give my spot in this tour back. I was able to join the Novatouch tour (and I'm currently typing on one ) and also struck a good deal on a Realforce TKL in the meantime. I think I've collected enough impressions already. I don't think that the variable weighting is the right thing for me since I'm using the keyboard for gaming as well and it can be very irritating. I actually tried something similar with Cherry switches and wasn't a fan of it. I have finally been able to talk with the local transport company, they only had partial address and phone number in their system even though it was supplied correctly multiple times. The delivery with the full address is scheduled for tomorrow. I'd like to thank acolombo very much for his assistance in this long and painful process, he's the best. Hi again guys. Pleased to tell you that I am finally writting on the Realforce I am terribly sorry for the delay, had this amazing problem with the transport company but it's all solved now. Check the images below if you're curious to find out what happened. I will try to be fast with the keyboard, I hope I can give it to sphinx by Monday, I feel like I already used too much of your time. Again, many thanks to acolombo for everything. Been typing on it for almost a day but honestly I don't feel like the variable weight is for me. I actually like the 30g keys and all but the fact that the modifiers are 45g really confuse me. It's a very weird experience. Every time I drop into the Tour thread I either find someone who is not keen or someone who is a convert to the Church of Oneness. Where do you think Spikebolt falls on that axis? Sounds like he doesn't mind Topre itself, but is struggling with variable weight. I must admit that although the variable weight on your Realforce didn't really bother me, I never considered one for myself! I'm not a well enough behaved touch typist for it to really pay off. The variable weight on the modifiers really kills it for me. I do enjoy le topré, but I guess standard weighting is my thing. I think you're right about HHKB switch weight feeling lighter than the same figure (and domes) in the Realforce. Feels like the similar difference I get between plate and PCB mount MX keyboards. Only without all the obvious flex! Plates make switches heavier. As well as the keyboard. When I had 002's Realforce for a week or so, I think I typed in a credit card number on the numpad once. You're really missing out! I've received the Realforce! Its kinda weird, i'll post my impressions during the week. Spikebolt wrote: ↑ I am terribly sorry for the delay, had this amazing problem with the transport company but it's all solved now. Check the images below if you're curious to find out what happened. 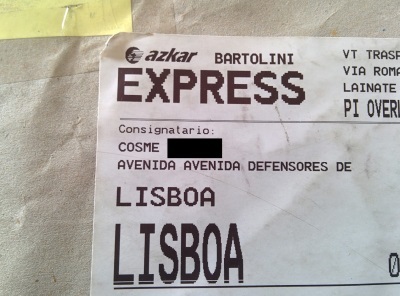 Pretty funny, I mailed your package to that adress a few weeks back. On topic, I'm actually very curious of whether I will like this keyboard. It could be my final Topre "decider" keyboard. I had a Novatouch a few weeks ago but sent it back because the rattle-y ness and general lack of quality feel were a turnoff for me. This did not improve with thicker keycaps. I did not feel the oneness with cup rubber, then. Maybe I will this time. Or maybe I actually need to try a Type-S, as that is the best sounding Topre keyboard I have heard. EDIT: Can someone tell me the weight of the package? If it's over 2KG I'm out, Switzerland is not in the EU so it would be 27€ just to ship it there. Literally any other country in Europe is 16€. Don't worry about the shipping. I have a shipping address in Germany which make both shipping cost for you much less and saves me customs charges. sphinx wrote: ↑ I've received the Realforce! Its kinda weird, i'll post my impressions during the week. This will be quite the learning experience then! You can set your computer to Portuguese when using an ANSI US keyboard like this. But it's down to you to remember where the keys should be. And there's one less key of course. Not a useful one in ISO UK, but the other ISO languages often need it more.